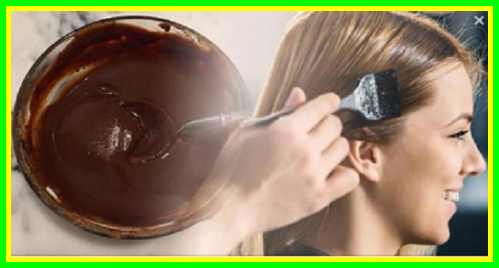 Home beautiful hair beauty coffee hair henna mask for hair recipe for hair red color hair red hair woman Dye Your Hair Naturally: These Recipes Will Make Your Hair Perfect! According to studies 65% of all women dye their hair with artificial hair dyes which often contain dangerous chemicals. Coffee can give your hair a great chocolate color without doing any damage. Make a strong cup of coffee such as espresso, then leave it to cool down. Next, mix 2 tablespoons of coffee grounds, 2 cups of a natural conditioner and a cup of cold brewed coffee, then apply the dye on your hair and leave it to work for 1 hours before rinsing with apple cider vinegar and washing your hair as usual. You can also shampoo your hair first, then pour coffee over it, leave the dye to work for 20 minutes and rinse with ACV in the end. Coffee can take a few tries to darken your hair, but it will definitely work. Tea is milder than coffee, so it won’t turn your hair from blonde to brunette. However, it works great with your natural hair color. For example, you can use black tea to cover gray hair, and chamomile tea for blonde and red hair color. You should use 3-5 teabags for 2 cups of water and apply the tea directly or mix it with a conditioner. If you want to cover grey hair, add some dried stage to open up the hair follicles. Leave the tea to work for an hour before rinsing with water. There are many herbs that can color your hair, although they work best with your natural hair color. Calendula, marigold, hibiscus and rosehips are the herbs that work on red hair. Simmer any of the herbs in water for half an hour, then strain the mixture and pour it onto your hair. Leave the tea to dry in the sun if possible. Rosemary, nettle and sage can make you a brunette and darken your hair. Just simmer a herb in water for 30 minutes, then repeat the process from the previous step. Calendula, marigold, saffron and chamomile can dye your hair blonde. Adding some rhubarb in the mix can fight grey hair effectively, and black tea can give you darker highlights. To use these herbs for dyeing your hair blonde, follow the steps described above. These juices can give your hair red highlights and improve your current color. They can be used alone or mixed. Apply one cup of the juice on your hair, then wrap your hair and leave the juice to work for an hour. In the end, rinse with ACV and water, then repeat the process for darker shades. Henna is used to dye hair naturally and for extravagant tattoos as well. This is a pigment from henna plant leaves that contains a natural coloring pigment that can color your hair. Used alone, henna makes your hair red and orange, but mixing chamomile with it can provide softer colors. Mix a cup of henna powder with 2 cups of lemon juice, then apply the mixture on your hair and leave it to work for 4-6 hours. Comb the dye through nicely, then wrap your hair with plastic wrap and leave it to work for 2-3 hours before rinsing with warm water. Lemon juice can give great highlights to your hair. Just spray some of it on your hair, then leave it to dry for a few hours, preferably in the sun. Repeat the process several times for best results. Walnut shells can give your hair a nice dark brown color, but can also stain your skin easily, so make sure you’re extra careful. Crush some walnuts shells and boil them in water for 30 minutes, then leave the mixture to cool down and apply it on your hair. Leave it to sit for an hour then rinse with lukewarm water. For a darker and more vibrant color, simmer the strained juice until only a ¼ of it its left and use it again. The next time you want to color your hair, we suggest you try one of these natural dyes and you will be amazed by the results!